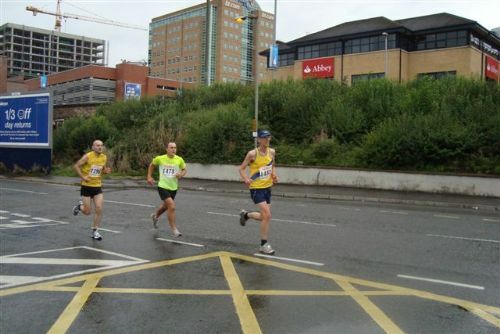 Congratulations to Pat O’Driscoll on the completion of his 100th half marathon at Lisburn on Wednesday night. One can only imagine the exotic locations that the lure of a 13.2 mile race has had on Pat. Larne, Newry, Dervock and Londonderry are just some of the local races that make up the 100 attendance record, and some of them on multiple occasions. 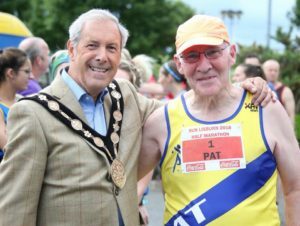 Lisburn has featured aplenty and on this occasion Pat wore the Number 1 vest number and completed the course, in windy conditions, in 2:26. The time is irrelevant, more the achievement of clocking up 1320 miles in halfs alone. Well done Pat. 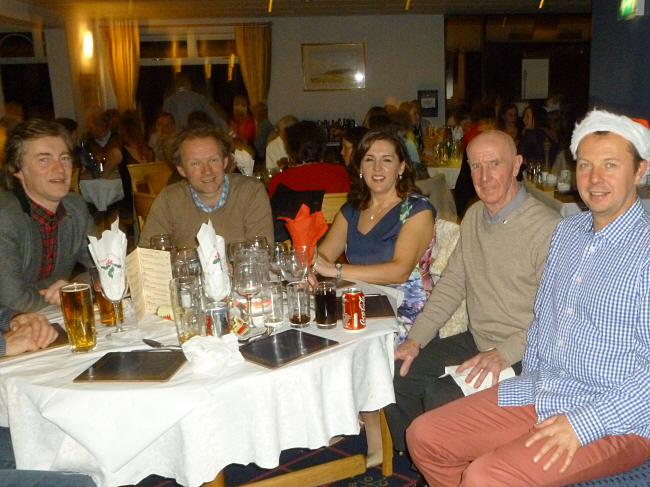 There were several other North Down athletes who are fresher at the half marathon distance, on Wednesday night. 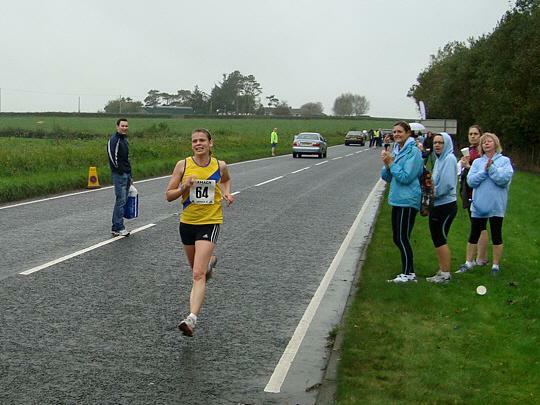 Melissa Eccles, running her first half marathon was our first runner home in a great 1:26:39. Steve Wise recorded 1:31:34 for the trip and Steven Donegan finished with 1:34:45. Christopher Ballentine came in on 1:36:27 which was one second ahead of Pat’s son, Neill who recorded 1:36:28. Scott Nelson was next in 1:37:18, Cliff McCausland 1:46:07 and Richard Garrad 1:47:41. John Ferguson clocked 1:49:51 and Marcelo Gallardo 1:58:35 before Pat completed his 100th run over the distance. 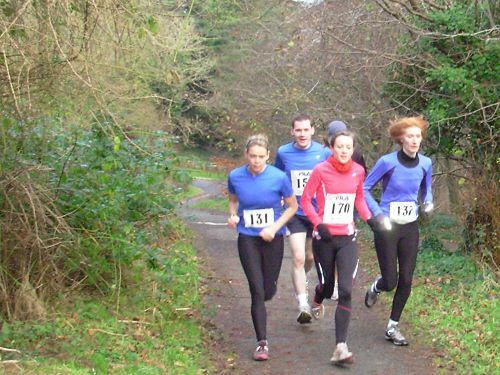 The 10k race on Wednesday evening was also the latest Novosco counter and attracted a few ND athletes. 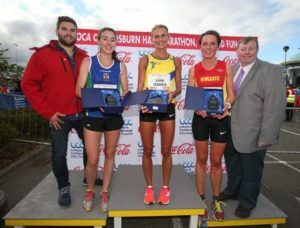 Jessica Craig continued her great form with a convincing win and also a pb into the bargain with a time of 35:51, which placed Jessica 8th overall. Finishing in exactly the same time and awarded 9th overall was Adam Ferguson who is part of the Paul Pollock coached Dream Dublin team and succeeded in achieving a personal best. Fellow Dublin squad athlete Eamonn O’Reilly was next in 38:16 which was 31st and he was followed by young Cameron Jenkins who recorded 40:43, 72nd. Terry Eakin won the O65’s as he clocked 42:02 and then Clair Quigley had a decent run to finish with 42:55.